400 PERMANENT AND short-term jobs are on the way at a new Combilift facility in Co Monaghan. The forklift company has recently invested in a site of industrial-zoned land on the Monaghan bypass, and plans to invest €40 million in a 40,000 square metre manufacturing plant. A further 200 jobs will be created during the two-year construction period, according to the firm. Management are hoping the new facility will position them to double Combilift’s current €150 million turnover over the next five years. The company currently employs over 300 people in Monaghan town and in Clontibret. Combilift is best known for its range of multi-directional forklifts, articulated forklifts and other material handling equipment. A Government statement welcoming the jobs announcement including comments from the Taoiseach, Jobs Minister Richard Bruton and Arts Minister Heather Humphreys, who is the local TD. “These new jobs will have a deeply positive impact on those who get back to work or take up new opportunities, but they also have a knock-on economic benefit for local businesses, shops, restaurants, tradespeople and service providers,” the Taoiseach said. The Combilift investment programme has been supported by the Department of Jobs, through Enterprise Ireland. Email “Getting a lift: 400 jobs on the way at forklift company”. 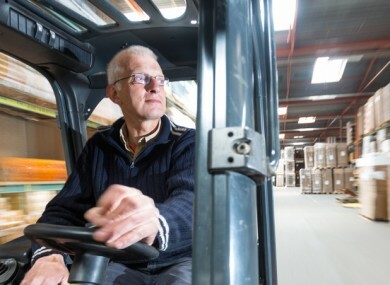 Feedback on “Getting a lift: 400 jobs on the way at forklift company”.